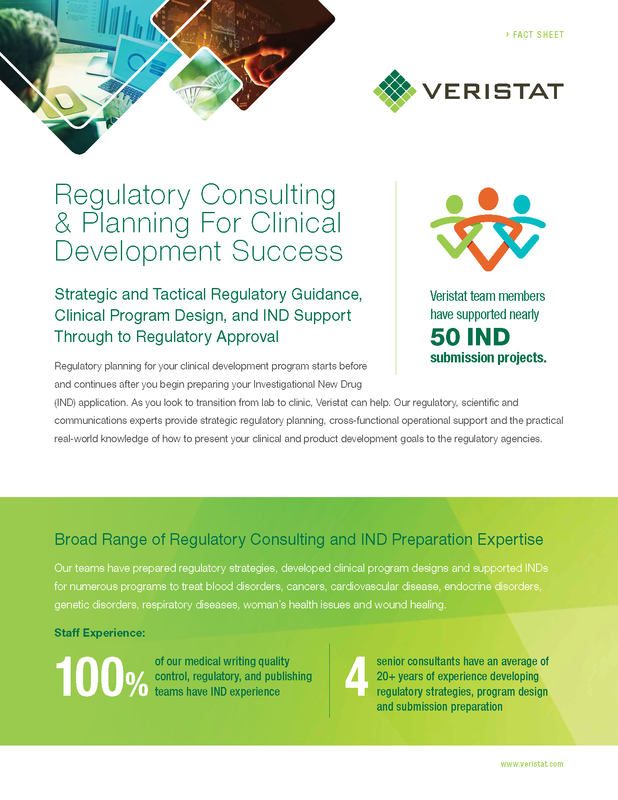 Regulatory planning for your clinical development program starts before and continues after you begin preparing your Investigational New Drug (IND) application. As you look to transition from lab to clinic, Veristat can help. real-world knowledge of how to present your clinical and product development goals to the regulatory agencies. Learn about our expertise by downloading our fact sheet.